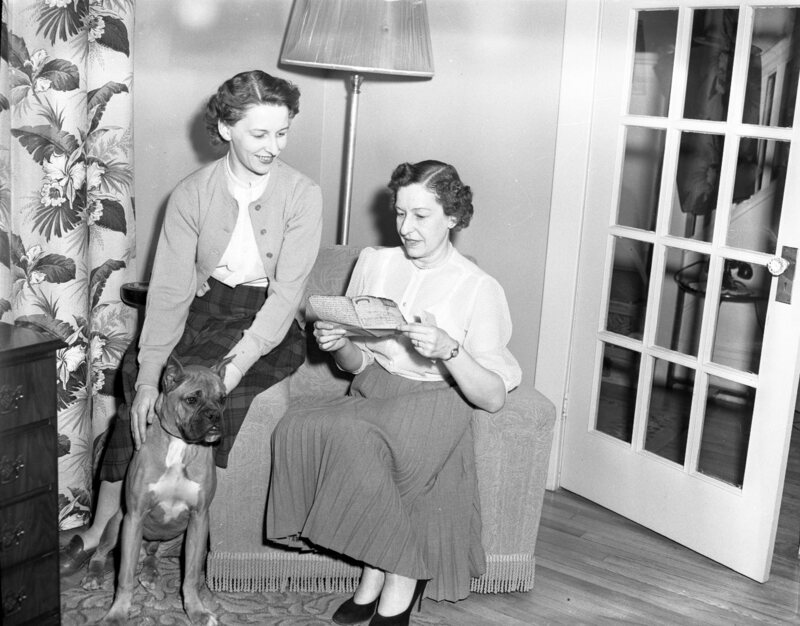 Mrs Dorothy (Bruce) Spicer examines an air mail letter from her mother Mrs. E Glover of Brighouse York England mailed December 21st. The letter went missing with hundreds of others when the BOAC stratoliner crashed at Preswick Scotland Christmas Day with the loss of 28 lives. Mrs. Ken (May) Williams looks on. Note the edges of the letter are scorched. Local sea cadet officials were pleased with the turnout of parents for the reorganisation of RCSCC Huron, O.S. 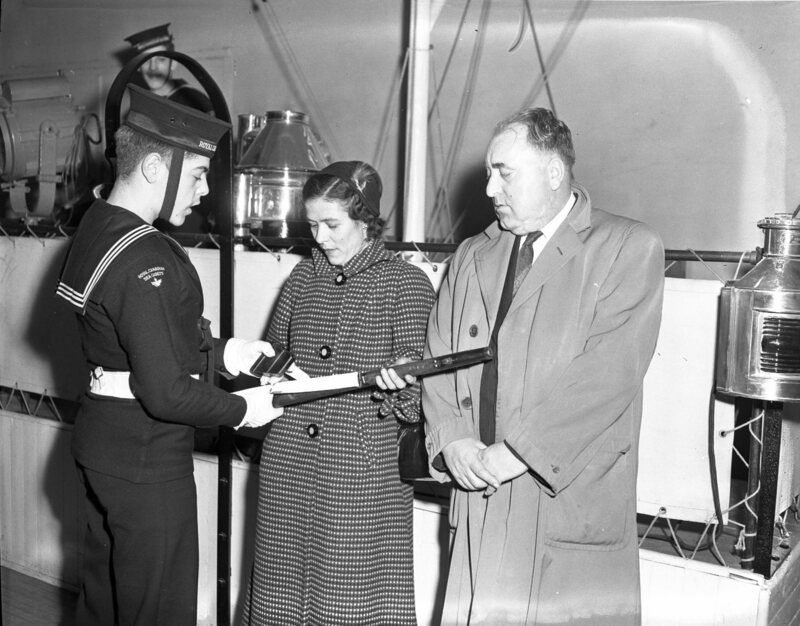 Robert Fournier shows his parents Mr. & Mrs. Henry Fournier of Penetanguishene the functioning of his rifle. Robbie Burns night dinner held by the men’s club of Knox Presbyterian Church in Midland. 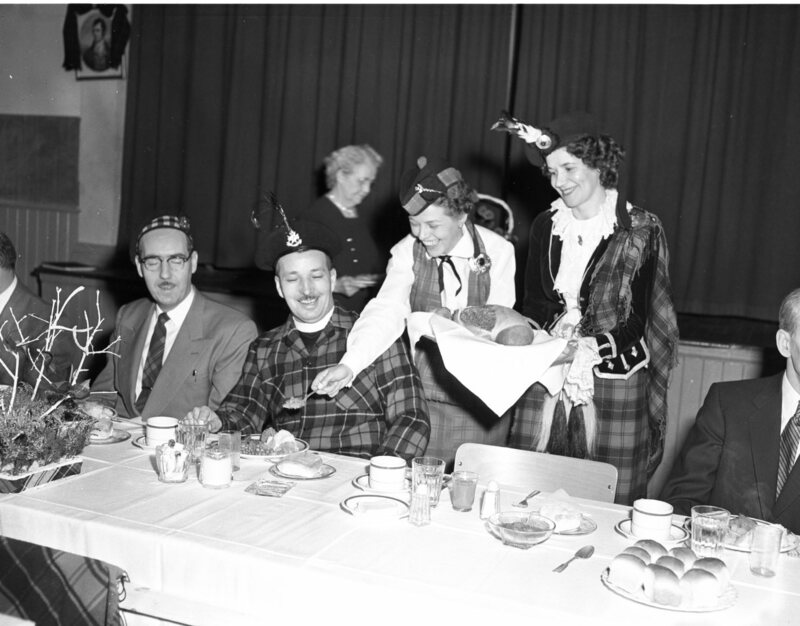 Location, church auditorium on Hugel Ave., John Dalyrmple club president, Rev Len Self, Mrs. Bill Manson serving the haggis while Mary Robertson looks on. Midland’s Intermediate “C” OBA basketball team winds up the regular schedule this weekend with games against Owen Sound and Base Borden. Seated, Charles Day, Mel Windover and Ed Gamna. 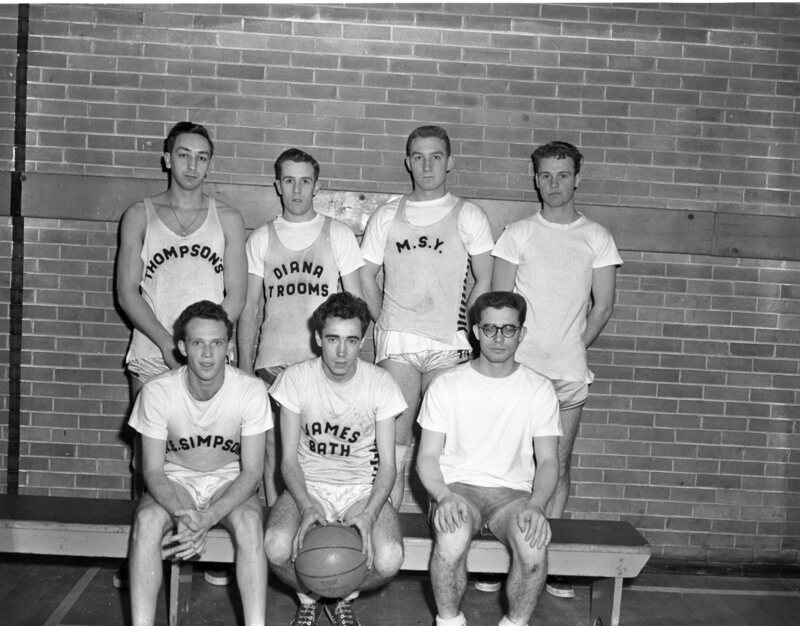 Standing, Russ Cadeau, Forbes MacKenzie, John Powers and Tim Lethbridge. Absent Ted Smith, Don West and Allen James. Jerseys show names of local business sponsors, H.J. Thompson & Sons, James Bath, R.E. Simpsons and the Diana Tea Room.